Safety Last! 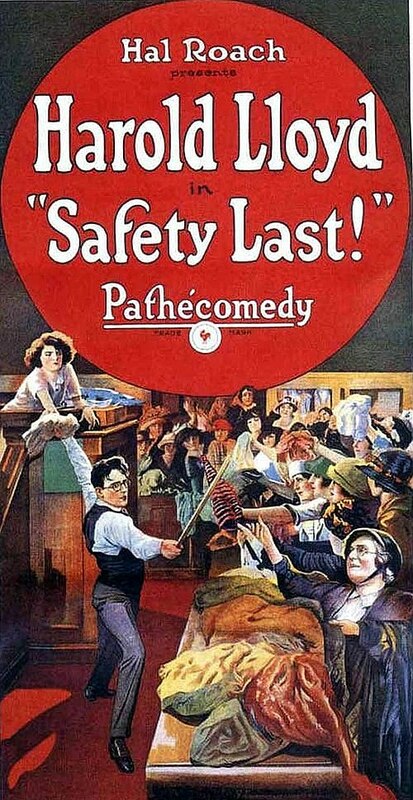 is a 1923 American silent romantic comedy film starring Harold Lloyd. It includes one of the most famous images from the silent film era: Lloyd clutching the hands of a large clock as he dangles from the outside of a skyscraper above moving traffic. 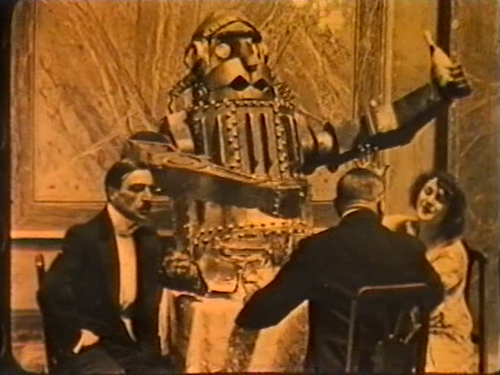 The film was highly successful and critically hailed, and it cemented Lloyd's status as a major figure in early motion pictures. It is still popular at revivals, and it is viewed today as one of the great film comedies. The Pilgrim is a 1923 American silent film made by Charlie Chaplin for the First National Film Company, starring Chaplin and Edna Purviance. The film marks the last time Edna Purviance would co-star with Chaplin and the last film he made for First National. 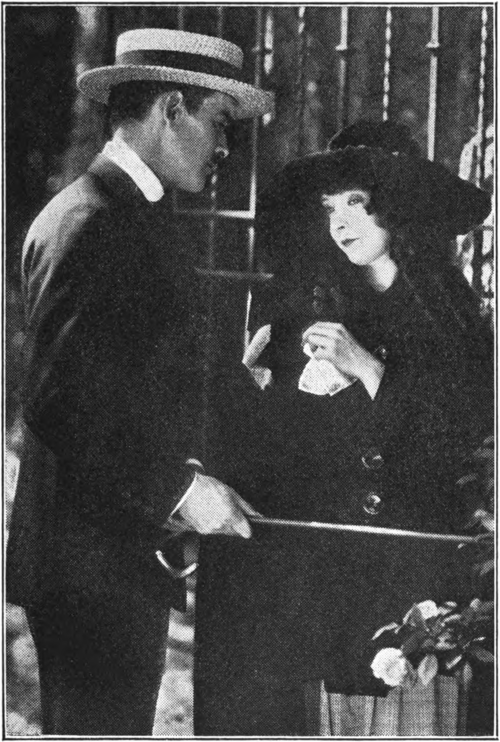 Purviance also starred in Chaplin's A Woman of Paris (1923), in which Chaplin had a brief cameo. It was Chaplin's second-shortest feature film, constructed more like a two-reeler from earlier in his career. It is also noted as the first film for Charles Riesner, who became a screenwriter in his later years. Scaramouche (1923) is a silent costume adventure based on the novel Scaramouche by Rafael Sabatini, directed by Rex Ingram, released by Metro Pictures, and starring Ramón Novarro, Alice Terry, Lewis Stone, and Lloyd Ingraham. Zaza is a 1923 American silent romantic drama film directed and produced by Allan Dwan, and starring Gloria Swanson. This film is based on the 1899 French play of the same name produced on Broadway by David Belasco and starring Mrs. Leslie Carter. A print of the film is housed at the George Eastman House and the Library of Congress. A previous film version was released by Paramount in 1915 starring Pauline Frederick. A third version, directed by George Cukor and starring Claudette Colbert, was released in 1939. The Extra Girl is a 1923 American silent comedy film directed by F. Richard Jones and starring Mabel Normand. Produced by Mack Sennett, The Extra Girl followed earlier films about the film industry and also paved the way for later films about Hollywood, such as King Vidor’s Show People (1928). It was still unusual in 1923 for filmmakers to make a film about the southern California film industry, then little more than ten years old. Still, many of the Hollywood clichés of small town girls travelling to Hollywood to become film stars are here to reinforce the myths of Tinseltown.